Deputy Attorney General Rod Rosenstein, attends the Senate Judiciary Committee confirmation hearing for Supreme Court nominee Brett Kavanaugh in Hart Building on Sept 4, 2018. The top lawmakers on two House committees will interview Deputy Attorney General Rod Rosenstein next week about reports that he had discussed secretly recording President Donald Trump. Rosenstein went to the White House days after the report, expecting to be fired, but his job was spared, and he later flew with Trump on Air Force One to an international police chiefs' conference in Florida. 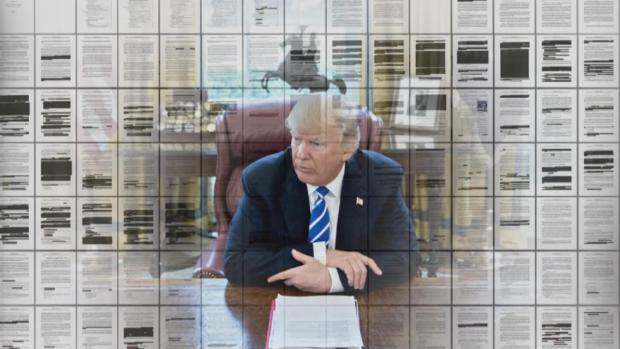 The president declared his job safe, saying he was "not making any changes." "We just had a very nice talk," Trump told reporters. "We actually get along." Trump and Rosenstein have had an up-and-down relationship, though the deputy has been spared the brunt of the anger directed at his boss, Attorney General Jeff Sessions. Trump's relationship with Sessions deteriorated after the attorney general recused himself from the Russia investigation. Goodlatte said last month that "there are many questions we have for Mr. Rosenstein, including questions about allegations made against him in a recent news article. We need to get to the bottom of these very serious claims." North Carolina Rep. Mark Meadows, the head of the House Freedom Caucus, initially led the push to bring Rosenstein to Capitol Hill. On Thursday, he tweeted that Rosenstein "should resign immediately." "He has not cooperated with Congress, failed to be transparent about his actions, and shown a lack of candor in the way he's characterized a number of events," Meadows tweeted. He did not elaborate or provide evidence for those claims. 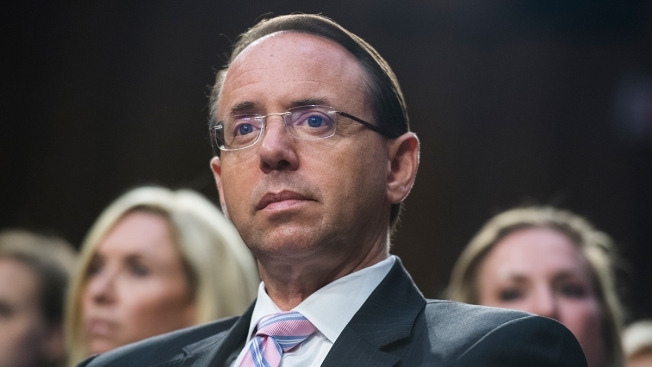 Democrats have called the meeting with Rosenstein part of a Republican effort to undermine special counsel Robert Mueller's investigation into possible coordination between Russia and the Trump campaign during the 2016 presidential election. Because of Sessions' recusal, Rosenstein appointed Mueller as special counsel and oversees that investigation.